What is hypnosis? 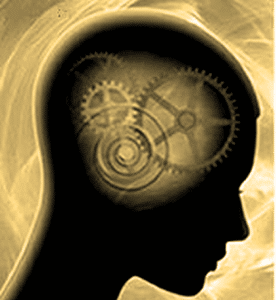 Simply put, hypnosis is a method of talking to the subconscious to reprogram your thoughts. Is hypnotherapy the same as hypnosis? Yes, the terms are interchangeable. Will hypnosis work for me? The answer lies within you. In order for any self-change to take place, you need to be willing to change. No therapy is magic; you need to put in your own work. Being open and ready to change, practicing self-hypnosis between sessions and working on any goal we might set together is important for your success. What can hypnosis help with? Hypnosis can help with a multitude of issues including stress, weight loss, and phobias. Some people have had success using hypnosis in conjunction with medical treatment in recovering from illness. What happens during a session? First, you will have a consult with the hypnotherapist who will assess your needs. Next, working with the hypnotherapist, you will write three positive affirmations. These affirmations are short like short sentences you want to tell yourself to help you achieve your goal. Then, you will get comfortable. The hypnotherapist will turn down the lights and play relaxing music. The hypnotherapist will then take you through a series of relaxation steps to get you into hypnosis. The hypnotherapist will speak your positive affirmations to your subconscious. After a short time, the hypnotherapist will bring you out of hypnosis and you will feel refreshed and wonderful. Will each session be the same? Each session will include different affirmations and perhaps different scripts to get you into hypnosis. The one thing you will notice is that each time you are hypnotized; you will get there faster and feel it more intensely than before. Will I do something I don’t want to do? When you are in hypnosis, you are in control. Hypnosis is not mind control. Think about hypnosis as driving. You are the driver and the hypnotherapist is your navigator. The hypnotherapist will help guide you but you are always the one driving and get to make all the choices. How long is each session? Your first session will run about an hour and a half. Each session after that will be closer to an hour. How many sessions do I need? Most clients are seen for about four to six sessions per subject. After about six sessions, your mind is pretty well reprogrammed. Clients are always welcome to return as needed for a “tune up”. Generally sessions are scheduled about a week apart for optimal success. Are you able to follow simple instructions? Have you ever started day dreaming when you are bored? Can you imagine the sound of a train’s whistle? Have you ever been driving and find yourself at your destination and not really sure how you arrived so quickly? Have you ever gotten up in the middle of the night for a drink of water or to use the bathroom and gone back to sleep immediately? Have you ever looked up (or in the same direction) when you notice other people looking up? Have you ever been focused on watching television or a movie that you didn’t have any conscious thoughts? Great news! If you answered YES to any of these questions, you are most likely able to be hypnotized. If you answered no to every question, or most questions, you are probably very analytical and fear giving up control. It would take longer than average to hypnotize you.